Vengeance As Justice: Passages I Highlighted in My Copy of "Eye for an Eye"
William Ian Miller's Eye for an Eye did not make it into my "top ten books I read this year" list for 2017, but it was one of the more thought-provoking things I read last year. Miller is an unusual creature: part law professor, part medievalist, Miller is equally comfortable discussing ancient Hittite legal decrees, the etymology of old Norse runes, the tropes of Elizabethan Drama, and modern tort law. I suppose if you were to take J.R.R. Tolkien, Thomas Schelling, a good dose of dead-pan humor, and a pinch of the morbid, and then shook them up together in a bottle, Mr. Miller is the man who would emerge. Miller's earliest books were on medieval Iceland's law and literature. If you are at all familiar with the sagas, it is easy to detect their influence on in the titles of his later works. His obsessions are by and large theirs: Disgust, Courage, Humiliation, Faking It, and so forth. The thread that weaves through each of these (and indeed the sagas as a whole) is the politics of social life. When one man (or one women) meets another calculations begin: how should I treat this person? Are we equals, or is he my social inferior? Or perhaps he is my social superior? How do I let him know what my social status is, and how should I respond if he does not take the hint? Is this person worth an insult? A fight? What are the consequences of letting things slide? What are the consequences of refusing to do so? These type of questions naturally lead to the topic of this book: lex talionis, the law of the talion, the principle of an eye for an eye, of justice through vengeance, retaliation sanctioned by culture and law. This understanding of justice is what propels the Icelandic sagas. But it wasn't just a Viking tick. "Eye for an eye" was standard practice just about everywhere a few thousand years ago, from the shores of Germainia and the fields of the Greek polis to the warring tribes of Canaan and the even more distant lands of the Kurus and the Zhou. We view this understanding of justice as backward and crude. We say things like "an eye for an eye makes the whole world blind." Miller aims to convince us otherwise. We have a lot to learn from these talionic cultures, he argues, and our world could be made a more just place if we could humble ourselves enough to learn from them. Some Norwegian merchants chopped off Skæring’s hand. Gudmund was given self-judgment in the injury case. Haf Brandsson [Gudmund’s second cousin] and Gudmund together adjudged compensation in the amount of thirty hundreds, which was to be paid over immediately. Gudmund then rode away from the ship. But the Norwegians confronted Haf, who had remained behind; they thought the judgment had been too steep and they asked him to do one of two things: either reduce the award or swear an oath. Haf refused to do either. The Norwegians refused the offer. “Then I shall make you another proposal,” said Gudmund. “I will pay Skæring the thirty hundreds that you were judged to pay, but I shall choose one man from amongst you who seems to me of equivalent standing with Skæring and chop off his hand. You may then compensate that man’s hand as cheaply as you wish." This is the logic of lex talionis. This is why "an eye for an eye" did not in fact make the whole world go blind. The principle of an eye for an eye, as Miller sees it, is "the more ancient and deeper notion that justice is a matter of restoring balance, achieving equity, determining equivalence, making reparations... getting back to zero, to even." Trading eyes for eyes is not so much about indiscriminate, unthinking violence as it is carefully calculated attempts to match punishment to crime. Talionic justice is a system built on deterrence--not only deterring criminals from committing crimes, but deterring vengeance seekers from exacting too heavy a price in retaliation for crimes committed against them. This is empathy enforced by blood. You think carefully about the pain you inflict on others knowing, that measure for measure, the pain you give others will be given back to you. Ties of kinship and friendship were the easiest way to make the chicken a wolf. Deterrence only works if you can be sure that there is someone who will strike back for you if you are struck down. The pressure to retaliate for wrongs done by your kin were thus immense. But so too was the pressure your kin might put on you to keep you from acting stupid enough to get killed in the first place. They are both responsible for avenging you and stopping you from doing anything vengeance-worthy. In the world of lex talionis, to be a brother is to be his keeper. An interesting side effect of all this is the impact these obligations had on one's sense of identity. No man was truly alone. To state your name was to state all of the ties to other human beings one has, and with that, all of the obligations that follow from them. Therefore, one common way vengeance seekers ginned themselves up for revenge by was declaring who they were. Miller calls an act of public "remembering:"
Yet remembering, even still, is a richly obligational notion, which is perhaps why we opt for forgetfulness; remembering is intimately involved with paying, paying back, with reward and punishment. We thus remember people in our wills, or remember someone with a tip, though tellingly "remember" in such settings now sounds a little old-fashioned fashioned if not quite obsolete. But for Hamlet there was no doubt that to remember meant to he mindful of duty, to he mindful of one's proper role; remembering involved reminding oneself or recalling oneself to one's proper place. It is a different world when a biblical tort creditor faces his injuror under the law of the talion. Observe two people bargaining over an eye one knocked out of the other in a talionic society. Let us Call our two actors V for victim and W for wrongdoer." V says to W, "I want you to pay me for my eye you gouged out at the party last night." W answers, pulling out his worker's compensation schedule, "OK, here's 2.5,000 shekels." V: "No way. I would never have agreed to give up my eye, to sell it to you, a perfectly good and useful eye, for a measly 25,000 had you tried to buy it from me before you just up and took it. You are trying to get away with paying me what it is worth after it has been blinded, with a little sop for my pain and suffering and my loss of value as a possible slave or soldier. To hell with that. I do not deem my eye priceless; but no way you would have coaxed me out of it for less than a few million shekels." W. "Nope, 2.5,000 is what the insurance company says it is worth." V: "But the law in this jurisdiction, I have just been informed, stipulates that I can take your eye as recompense, and this is what I am going to do." Suppose I lose my eye in a car accident for which you were at fault. In our legal order you must pay me for the loss of my eye. But you get it at a bargain. I can get only what the court, or the worker's comp schedules, or the insurance company says is the going rate for an involuntarily transferred eye as long as it still leaves me with one good one. You do not have to pay me what I would have demanded had you bargained with me ahead of time for the right to take it (assuming for the sake of the hypothetical that I could legally agree to have my eye gouged out). But that is the problem with accidents. One does not usually set about to do them on purpose, and so all the bargaining must he done after the transfer has been effected and the damage is done. My eye in such a regime is cheap for the taking. § 54. If one strikes off a thumb, 20 shillings. If a thumb nail is off, compensate with 3 shillings. If a person strikes off the shooting-finger, compensate with 9 shillings. If a person strikes off the middle finger, compensate with 4 shillings. If a person strikes off the gold-finger, compensate with 6 shillings. A Saxon pinky was worth three times a Saxon middle finger, probably because, Miller guesses, the pinky is an important part of a strong grip, while the middle finger's main uses (even in the Middle Ages) were obscene! I sing the virtues of honor cultures long since dead that left literary remains to die for: the Hebrew Bible, the Iliad, Beowulf, the Icelandic sagas. When closer to home in space or time I see not much to admire in urban ghettos or in the Islamicist Middle East, which are sometimes declared to be honor societies in the same breath as they are declared models of dysfunction, as if it were honor and the talion that made them so. But these are not dysfunctional because of their views of honor and justice, but because they deviate in some important ways from the model of the well-functioning talionic society one sees in the sagas, in other heroic literature, or in the ethnographic accounts, say, of the Bedouin. This last point, I think, is the central problem with applying the logic of lex talionis to the modern world. Iceland's stateless commonwealth disappeared in the 13th century as wealth and power concentrated in the hands of a few families. Once individual families could raise entire armies to support their claims, retaliation for wrongs committed became impossible, and talk of balance impractical. The bigger the scale of the offense, the more difficult it is to find a proper response. What is the measured response to the sack of a city? Your army gets to sack one of mine? And who is at fault for the city wrongly sacked--the soldiers, their general, their king, or their kingdom? Talionic systems will hold all relatives of a criminal responsible for his crime under the theory that kin-networks are responsible for policing their family members' behavior. But how can that possibly scale? To what extent are citizens culpable for their crime of their leaders--and to what extent are their leaders culpable for the crimes of their voters? If a corporation accidentally laces the food it sells with deadly bacteria and an infant dies, then who does the victim's family turn to for reparation? In the ideal talionic regime they should be able to give the exact same choice that Gudmund provides the Norwegians: you took our child's life, and now you will pay up as much as you can to prevent us from taking yours. But corporations do not have children. They do not have hands, or feet, or eyes. In a world where corporations are people, "eye for an eye" doesn't seem possible. William Ian Miller, Bloodtaking and Peacemaking: Feud, Law, and Society in Saga Iceland (Chicago: University of Chicago Press, 1990), 1-2. William Ian Miller, Eye for an Eye (Cambridge: Cambridge University Press, 2005), Kindle Location 143. “Who are you, brave friend, of men consigned to death? and they are sons of brokenhearted men, who face my might. “Great-hearted son of Tydeus, why do you ask my lineage? As a generation of leaves, so is the generation of men. so a generation of men either grows, or it dies. my family’s lineage, many men know of it. The scene ends with Glaukos and Diomedes ceasing their fighting, acknowledging that their ancestors' relations puts them under an obligation of friendship today. See Iliad 4.199-160. Caroline Alexander, trans. The Iliad: A New Translation (New York: Harper Collins, 2015), 123-124. Miller, Eye for an Eye, Kindle Locations 1397-1402. For the situation in America, see Viviana Zelezier, Pricing the Priceless Child: The Changing Social Value of Children (Princeton: Princeton University Press, 1985), 147-148. Miller, Eye for an Eye, Kindle Locations 832-839. Miller, Bloodtaking and Peacemaking, 84. Miller, Eye for an Eye, Kindle Locations 1488-1494. Ibid., Kindle Locations 801-803. This matches something Millar stated well in Bloodtaking and Peacemaking :"It could be said that honor is the ability to make others believe that you will indeed be tough the next time, in spite of present discomfitures" (Miller, Bloodtaking and Peacemaking,303). Miller, Eye for an Eye., Kindle Locations 852-856. For now suffice it to say that the rule does less to bring the rich within the ambit of the law (they always were within its ambit, for they have assets that make it worthwhile to sue them) than to get the poor into it. For what the talion does is to give the poor assets to satisfy claims. The rule does much to help solve the social problem of the insolvent wrongdoer whose poverty makes him judgment-proof (Kindle Locations 389-391). For more on this, see Jesse Byock, Viking Age Iceland (New York: Penguin, 2001), 341-355. Miller, Eye for an Eye, Kindle Locations 1795-1801. Christian Smith, professor of sociology at the University of Notre Dame, wrote a true but trollish column for the Chronicle of Higher Education earlier this month. He titled the piece "Higher Education is Drowning in BS." His list of collegiate "BS" is correct. It's also predictable. One does not need to read the article to know exactly what it will argue. This is i2018. We have not only seen dozens of articles and journalistic accounts of the crisis Smith describes; entire books have been published to chronicle the sins of modern university life. The university system still has its defenders, but they are few and far between. Most folks who look at the state of American universities recognize that the system is broken. Few offer ideas on how to fix it. This conversation would improve greatly if less folks wrote long lists of their complaints about universities and more folks wrote long lists of ideas on how to improve them. Smith says that reform will require "visionary traditionalism and organizational radicalism." I agree with the sentiment. In that vein, let me offer a truly radical solution: take universities out of the liberal arts business all together. Let me be clear here: I believe the humanities are essential. Essential to our civilization, even. No objections from me: the liberal arts are important. But not important enough to sell yourself into debt-slavery for. The liberal arts cannot be "saved," this "crisis of the humanities" cannot be resolved, as long as the cost of studying them requires mortgaging your future away. This is the issue all the other problems with humanities education revolves around. For most students, the gains of a liberal education cannot justify their costs. The cruel thing is these costs are not even necessary. Let's run the numbers so you can see what I mean. My alma mater was Brigham Young University-Hawaii. If you are a member of the LDS church attending the school, then in 2017 your tuition was $3,000 a semester. If you are not a member, it was $5,000 for one semester. The school has a special program where you can graduate in three years by taking three semesters each year, and that costs $8,000 and $16,000 a year for LDS and non-member students respectively. You can see why I chose it. To compare to another small private religious university, here is what tuition cost for students at St. Aquinas College for the two semesters they studied there in 2017: $29,000. St. Aquinas brags that their students "obtain a private college education at an affordable price." Their costs are comparable to the evangelical Patrick Henry College, where tuition comes in at $28,000 for two semesters. This is much cheaper than religiously named, but no longer spiritually visioned, Trinity College. Tuition there is $53,000 a year. 48,000 dollars are needed for non-members to graduate from BYU Hawaii ($24,000 for a member), $114,000 are needed to graduate from the cost-conscious religious schools, and $212,000 dollars are necessary to attend four years at the non-religious liberal arts school. This is without including rent, food, or other charges of that sort. There are a few questions that come to me as I review these numbers. First, how is this possible? How can you possibly justify a $200,000+ college expense? How can you justify a $100,000+ college expense? The average tenure hopeful adjunct makes $40 an hour. If you were to employ her as a private tutor at the cost of $60 an hour, and had four hours with her a week, and did that for 14 weeks (that's the length of an average college course folks) that is about $3,400. Were you to employ three such professor-tutors, that would be about $10,200, or a bit over $20,000 a year. In four years you would have racked up $80,000 in costs. But this is still $30,000 less than the total for the 'cost conscious' universities. It is a quarter of what you would pay for Trinity. Remember: this $80,000 is for private tutoring, where individual attention would give you far and away a better and more thorough education than the 300-kids-in-a-lecture-hall style of classes that dominate undergraduate education today. But it can get even cheaper. Let's say you take the general principle of group classes from the university. Say you can find four other people to take all of these other classes with you. Just four. Well that equals out to $680 per class, or $16,000 a person for four years of classes. To be fair, add in $1,000-$2,000 for textbooks and a subscription to JSTOR, for a total of about 17,000 to 18,000 for four years. For the vast majority of human history universities as we conceive of them did not exist. The modern university system did not produce the Mahabharata, The Aneaid, or The Tale of Genji. The modern university system did not produce Ibn Khaldun, Thomas Aquineas, or Alexis de Tocqueville. The universities John Adams, Alexander Hamilton, and James Madison attended looked or functioned very little like Harvard, Columbia, and Princeton do today. Men like Abraham Lincoln are evidence that a deep reading and appreciation for the liberal arts do not require formal education at all. Let's not kid ourselves: the humanities existed before the modern university department was conceived; they will exist long after the modern university department has been destroyed. I would like to see something along the lines of a "liberal education" preserved. But do the math. The important elements—the students, the books, the teachers—can be provided for at under $20,000 a year, and that is with paying the teachers $20 more an hour than they are currently earning. Any attempt to reform the current university system must take this fact as its foundation. A liberal education could be affordable, if we wanted it to be. But we don't much care, and are now reaping the consequences. [EDIT 15 January 2018: Fixed a few grammar mistakes and a minor mathematical error]. It is New Year's Day, and thus time for my annual list of every book I read in the preceding year. By listing a book as "read" it means I finished the last page of the book sometime in 2017, though some of these books I actually began before the year started—in the case of one book (the Menon "modern rendering" of the Mahabharata) I started all the way back in 2015! As in past lists, I have bolded and provided a link to the Amazon page of the top ten books of the year. As before, only books that I have never read before can qualify for this distinction. I usually aim to read three or four books on a theme or topic at one time, and you can see that in the titles below (which reads more or less chronologically, listing books by the date I finish, not first start them). Early in the year there is a cluster of American history books that corresponded with a class in American history I was teaching. Then followed a series of books about midcentury totalitarianism, a cluster focused on the Icelandic sagas, then the Iliad, the Roman republic, English poetry, Chinese poetry, and a return to American history at the end of the year. If you compare this year's readings with past years' (here are the lists for 2013, 2014, 2015, and 2016), this last one stands out for being far more literary and America-focused. The return to American history is a happy one. Studying so closely the origins of America's democracy while living in authoritarian China has had a decisive effect on my world-view. The extensive readings in poetry and 'classic' literature is an experiment of a different sort. Back in 2013 I was accused of not having enough fiction on my lists. I do not think the same accusation could be made today. On the other hand, the old mainstays of Chinese history, strategic theory, and economic history have had almost no coverage this year. I will have to change this—especially in that last category. So many interesting things have been published in the field of economic history in just the last three years, and I have fallen badly behind the literature. 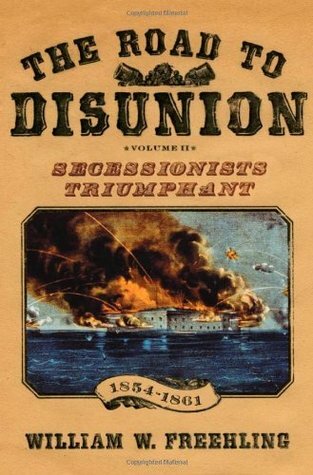 I cannot pick one book out as the best of the year, but if I had to pick out one book I think most important for others to read, it would be William Freehling's two volume Road to Disunion. I highlighted the first volume of this book back in 2013 as one of the top-ten reads of that year; the second volume is not quite as good, but would probably make it into the top-fifteen cut for this year. Together they provide an immensely satisfying social and political history of the American south from revolution to secession. Why this book? The national fracas over the cause of the U.S. Civil War revealed just how ill-informed we are about why that war happened. "Slavery" is the easy, obvious answer. It is also utterly inadequate: slavery and disunionism had existed since the birth of the American republic, and slavers willing to sacrifice the Union for sake of slavery had been around just as long. So why did they succeed in only in 1860—not 1789, or 1800, or 1820, or 1855? Some might answer that the South was more 'radical' in 1860 than decades earlier, but all that reflexive answer does is give you another question: just how did the South get that way? Radicalism does not just happen. In the South radicalism emerged because it was planned. Freehling's first volume tells the story of the plans that failed: of attempts to get southerners of different stripes and interests to identity with "the South," convince these converts that this magical "South" was under attack, and that the only defense of "Southern" institutions was secession. In a wonderful mix of cultural, social, and political history Freehling shows why each of these attempts fell apart. But the last group of secessionists were by far the most self-aware of the bunch. In the second book, Freehling charts the rise of a conniving group of tyrants who consciously used the history past defeats to craft a stronger, more sinister political strategy. This strategy was intended to radicalize the South and drive the Union into a crisis intentionally designed to make compromise impossible. It is a remarkable book. It is masterfully written. It is topical. But most important of all, its concepts can be generalized. No other book has helped me to better understand the mechanics of radicalization. All Americans should be aware of these mechanics. There are eerie parallels between the principles and strategies employed by the secessionists of antebellum days and certain political groups in America today. This book will help you see them. I suppose a more detailed exposition on that theme deserves its own post. I will not say anything more on this one. But consider buying and reading both volumes. Kate Arney, Herding Hemingway’s Cats: Understanding How Our Genes Work (New York: Bloomsbury, 2015). John C Wathley, The Illusion of God’s Presence: Biological Origins of Spiritual Longing (Amherst, NY: Prometheus Books, 2016). Paul H. Godwin & Alice L. Mille, China’s Forbearance Has Limits: Chinese Threat and Retaliation Signaling and Its Implications for a Sino-American Military Confrontation (Washington DC: National Defense University Press, 2013). Ian Easton, Able Archers: Taiwan Defense Strategy in the Age of Precision Strike (Washington DC: 2049 Institute, 2014). William Freehling, Road to Disunion, Volume II: Secessionists Triumphant, 1854-1861 (Oxford: Oxford University Press, 2008). Bernard Bailynn, The Peopling of British North America (New York: Vintage Books: 1988). Alan Taylor, American Colonies: The Settlement of North America to 1800 (New York: Penguin, 2002). Shi Ji, Graded Chinese Reader 1500 Words (Beijing: Singolingua, 2013). Ramesh Menon, The Mahabharata: A Modern Retelling (New Delhi: Rupa & Co., 2009). Henrik Ibsen, Enemy of the People in Complete Works of Henrik Ibsen (x:x). William Golding, Lord of the Flies (New York: Penguin Books, 1954). Gordon S. Wood, Creation of the American Republic, 1776-1787 (Chapel Hill: University of North Carolina Press, 1969). Richard Carwadine, Lincoln: A Life of Purpose and Power (New York: Vintage, 2007). Juan Williams and Julian Bond, Eyes on the Prize: America’s Civil Rights Years, 1954-1965. 2nd ed. (New York: Penguin Books, 2013). Hermann Melville, Billy Budd, Sailor (New York, Penguin, 1995). Yuval Levin, Fractured Republic: Rethinking America’s Social Contract in an Age of Individualism (New York: Basic Books, 2016). Vaughan Lowe, International Law: A Very Short Introduction (Oxford: Oxford University Press, 2016). Louis Lowery, The Giver (New York: Houghton Mifflin, 1993). Anthony Esolen, Out of Ashes: Rebuilding American Culture (Washington, DC: Regenery Publishing, 2017). Bruce Bennet. Preparing North Korea for Unification. (Santa Monica: RAND Corporation, 2017). Hannah Arendt, Eichmann in Jerusalem: A Report on the Banality of Evil, reprint (New York: Penguin, 2006). Frances Goodrich and Albert Hackett. The Diary of Anne Frank. (Dramatist Play Service, Inc, 1986). Rod Dreher, The Benedict Option: A Strategy For Christians in a Post-Christian Nation (New York: Sentinel, 2017). Hannah Arendt, The Origins of Totalitarianism: (New York: Hartoughn Mifflin, 1974). Timothy Snyder, Bloodlands: Europe Between Stalin and Hitler (New York: Basic Books, 2012). Timothy Snyder, On Tyranny: 20 Lessons From the 20th Century (Tim Dungan Books, 2017). Robert Cook, trans. Njal's Saga, (New York: Penguin Books, 2002). William Ian Miller, Bloodtaking and Peacemaking: Feud, Law, and Society in Saga Iceland (Chicago: University of Chicago Press, 1990). Jesse Byock, Viking Age Iceland (New York: Penguin, 2001). Michael Sandel, Justice: What is the Right Thing to Do? (New York: Farrar, Straus and Giroux, 2009). 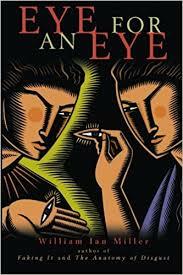 William Ian Miller, Eye For an Eye (Cambridge: Cambridge University Press, 2005). Jackson Crawford, The Poetic Eda: Stories of the Norse Gods and Heroes (Indianapolis: Hackett Publishing, 2015). Frank Herbert, Dune (New York: Ace Books, 2017). Andrew Krepinevich, Preserving the Balance: A U.S. Eurasia Defense Strategy (Washington DC: Center for Strategic and Budgetary Assessments, 2017). Aeschylus, The Oresteia, trans Robert Fagles (New York: Penguin, 1984). Jonathan Shay, Achilles in Vietnam: War Trauma and the Undoing of Character. (New York City: Atheneum, 1994). Homer, The Iliad: A New Prose Translation, trans. Robert Fagles, 2nd ed. (New York: Penguin, 1999). J. Glenn Gray, The Warriors: Reflections on Men in Battle, 2nd ed. (Lincoln, Nebraska: Bison Press, 1999). Joshua Foer, Moonwalking With Einstein: The Art and Science of Remembering Everything (New York: Penguin Books, 2011). Tim Holland, Rubicon: The Last Years of the Roman Republic (New York: Random House, 2007). David Gwynn, The Roman Republic: A Very Short Introduction (Oxford: Oxford University Press, 2012). Laurence Perrine, Sound and Sense: An Introduction to Poetry, 7th ed. (New York: Harcourt Publishers, 1991). Shakespeare, Julius Caesar in Globe Illustrated Shakespeare: The Complete Works Annotated (New York: Greenwhich House Publishing, 1984). John Williams, Augustus, reissue ed. (New York: New York Review of Books Classics, 2014). Booth Tarkington, The Magnificent Amberson (New York: Tor, 2001). Egil’s Saga, trans. Bernard Scudder, in The Sagas of the Icelanders: A Selection, Jane Smiley, ed. (New York: Penguin Books, 2005). Christopher Ricks, ed., The Oxford Book of English Verse (Oxford: Oxford University Press, 1999). Frances Cornford, Poems (London: W.H. Smith & Sons, 1910). Frances Cornford, Spring Morning (London: Poetry Bookshop, 1923). Frances Cornford, Autumn Midnight (London: Poetry Bookshop, 1923). Paulo Coelho, The Alchemist, trans. Alan Clarke (New York: Harper, 1993). Kristin Shi-Kupfer, Mareike Ohlberg, Simon Lang, Bertram Lang, Ideas and ideologies competing for China’s future. How online pluralism challenges official orthodoxy (ERICS Paper on China No. 5. October 2017). Kunz Kavena, trans. The Saga of the People of Laxardal, in The Sagas of the Icelanders: A Selection, Jane Smiley, ed. (New York: Penguin Books, 2005). Gavin de Becker, The Gift of Fear, new ed. (Amazon Publishing services, 2010). John Milton, Paradise Lost in Paradise Lost and Regained (New York: Penguin, 2001). Leland Ryken, Milton's Paradise Lost (Wheaton, IL: Crossway, 2014). Steven Peck, A Short Stay in Hell (Washington DC: Strange Violins Editions, 2009). Steven Peck, Science: They Key to Theology (By Common Consent Press, 2017). John Dryden, Fables Ancient and Modern in Delphi Complete Works of John Dryden (Illustrated) (Delphi Poets Series Book 29) (Delphi Classics, 2013). Ian Easton, The China Invasion Threat: Taiwan’s Defense and American Strategy in East Asia (Washington DC: Project 2049 Institute, 2017). Office of the USN Secretary, 2017 Strategic Readiness Review (Washington DC: USN, 2017). Francis Bremer, The Puritan Experiment: New England Society from Bradford to Edwards (Hanover: University of New England Press, 1995). Bernard Baiylnn, The Barbarous Years: The Conflict of Civilizations, 1600-1675 (New York: Alfred A Knopft). Arnold Bennet, Literary Taste and How to Form it (London: Hodger and Stoughton, 1907). John Ferling, A Leap in the Dark: The Struggle to Create the American Republic, 1750-1800 (Oxford: Oxford University Press). Uighur Human Rights Project, Fifth Poison: The Harassment of Uyghurs Overseas (Washington DC: UHHP, 2017). Lynne Cheney, James Madison: A Life Reconsidered (New York: Penguin, 2015). Merril Peterson, The Great Triumvirate: Webster, Clay, and Calhoun (Oxford University Press, 1988). Samantha Hoffman, Programming China: The Communist Party’s Autonomic Approach to Managing State Security, Phd. thesis, University of Nottingham (2017). Vassily Grossman, Life and Fate; David Young, Du Fu: A Life in Poetry; Keith Halyoake, Facing the Moon: Poems of Du Fu and Li Bai; He Mazi, ed. and commentator, 唐诗四百首[300 Tang Poems]; Wang Fuyin, 唐诗三百首详注，英译，浅析 [300 Tang Poems, With Annotations, English Translation, and Brief Analysis]; David Hawkes, A Primer in Du Fu; Tang Yueying and Li Xioming, eds., 唐诗鉴赏辞典 (A Compendium of Treasured Tang Poems); Archie Barnes, Chinese Through Poetry: An Introduction to the Language and Imagery of Traditional Verse; Paul Rouzer, A Primer in Literary Chinese; Daniel Walker Howe, What Hath God Wrought: the Transformation of America, 1815-1848; Edmund Morgan, Visible Saints: History of a Puritan Idea; The American Pageant, 12th ed; Miriam Joseph, The Trivium: The Liberal Arts of Grammar, Rhetoric, and Logic; Terrly and Fiona Givens, The God Who Weeps: How Mormonism Makes Sense of Life's Great Questions; Michael Green, Not By Providence Alone: Grand Strategy in American Power in the Asia-Pacific ; Eri Hotta, Japan 1941; SCM Paine The Wars for Asia; Michael Barnhart, Japan Prepares for Total War; Kevin Horsely, Unlimited Memory; 50 Classic American Short Stories.